Abhishek manages the software group globally for ZS. As a seasoned global leader, he is an expert at leading large technology organizations, building award-winning products and driving transformational initiatives through effective change management. He specializes in SaaS/Cloud, Big Data and AI/ML solutions. 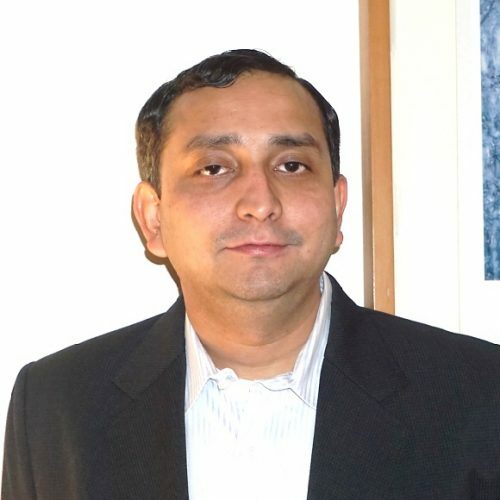 Prior to ZS, Abhishek worked as a senior director for ePS (WCG), leading teams across the U.S., Asia and Europe. Abhishek holds an MBA degree from the Boston University and a B.S. in computer science from the Visvesvaraya Technological University, Karnataka. He also has a strategic management certificate from Harvard, a project management certificate from BU Global and attended the Executive Program in Artificial Intelligence from MIT Sloan & MIT CSAIL. Passionate about strategy, leadership, innovation and technology, he is an acknowledged contributor of the book “Kaplan MBA Fundamentals PM” and a member of various renowned councils and research committees such as Harvard HBR Advisory Council, McKinsey Quarterly Executive Research, MIT Technology Review Global Panel and Computerworld Inner Circle Research.